Director Harold Zwart (The Karate Kid remake) has boarded Mortal Instruments starring Lily Collins. 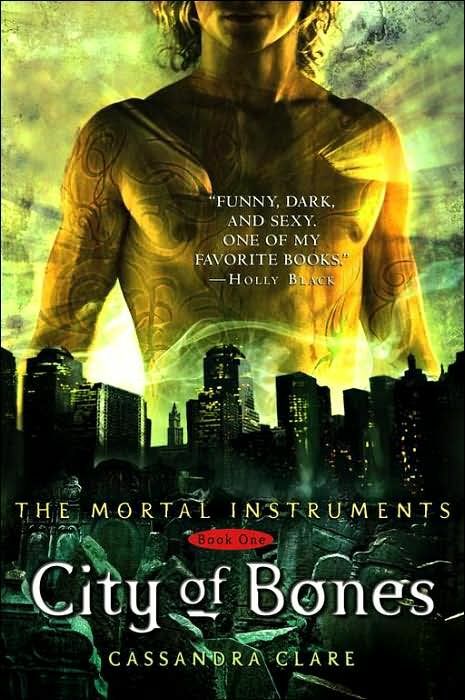 The film is an adaptation of Cassandra Clare‘s young adult novel, The Mortal Instruments: City of Bones. Collins will play Clary Fray, “a young woman who discovers she is the descendant of a line of secret cadre of half-angel warriors locked in an ancient battle to protect the world from demons.” Zwart previously directed the cringe-worthy family fare Agent Cody Banks and The Pink Panther 2, but I rather enjoyed his remake of The Karate Kid. He’s certainly a step up from the previous director Scott Stewart (Priest) who left to work on a TV series based on his film Legion. According to THR, filming on Mortal Instruments is set to begin on August 15th in Toronto. Hit the jump for the official synopsis. CLARY FRAY (Lily Collins) is an ordinary Brooklyn teenager until the night she meets the mysteriously tattooed JACE, who turns out to be a half-angel warrior known as a Shadowhunter. When Clary finds out her mother JOCELYN has been abducted, she desperately hopes Jace will be able to help. After a whirling golden portal transports her across time and space in a heartbeat, Clary realizes she too has the powers of the Shadowhunters. But can she harness them in time to save her mother? Clary, Jace and their fellow Shadowhunters endure one breathtaking battle after another against vampire, warlocks and demons—only to discover Jocelyn hid a terrible secret from the fiercest warrior of all: VALENTINE. Cast out from the world of Shadowhunters, Valentine abducted Jocelyn believing she had a powerful tool known as the Mortal Cup. Using her newfound gifts, Clary finds the Cup, only to be brutally betrayed and forced to relinquish it. Still reeling from this setback and racing to save Jocelyn before it’s too late, Clary finds herself caught in a battle between forces she barely understands. Based on the best-selling series by Cassandra Clare, MORTAL INSTRUMENTS is a magnificent urban fantasy rich in detail and suspense, about a girl’s journey to the darkest corners of the underworld to save those she loves.